The press kit page is to help you use our brand and assets, including our logo and some images that help communicate about ClipperCreek®. For special requests or inquiries, please contact us at press@clippercreek.net. Thank you for helping us keep our brand beautiful. ClipperCreek® manufactures Electric Vehicle Supply Equipment (EVSE) for residential, public, fleet and workplace electric vehicle charging. We manufacture reliable, powerful electric vehicle charging stations that are Made in America. We are the most innovative manufacturers in the industry. Our electric vehicle charging stations are all independently safety laboratory listed and come with the best warranties in the industry. With tens of thousands of electric vehicle charging stations sold, and millions of miles driven, you can trust our products for a fast, reliable charge every time. 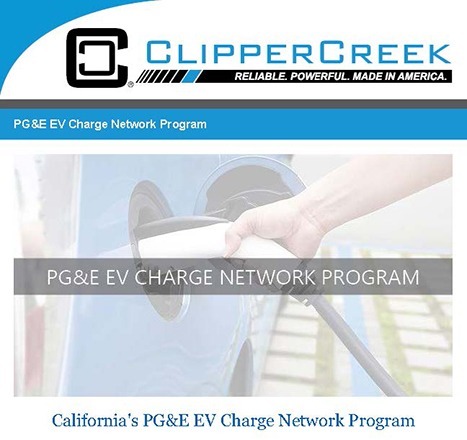 ClipperCreek® is dedicated to improving our environment for current and future generations through promotion of the plug-in electric vehicle industry. We see this as a critical element to the fight against global warming and reducing the world’s dependence on fossil fuels. We provide the highest quality products and superior customer service for every one of our customers, aiming to make each experience they have with ClipperCreek® an enjoyable one. We operate with the utmost integrity and provide an excellent workplace for our employees, valuing fair compensation, room to grow, training, a healthy, creative work environment, and respect for diversity. All our long-term strategies and short-term actions will be molded by this set of core values that are shared by each and every employee. Reliable. Powerful. Made in America. Members of the media should contact our Director of Communications for additional information. These images are provided for press use only. Please link them to https://www.clippercreek.com if possible. If you need another format or have a special request, please contact us at press@clippercreek.net. If you need different sizes than those provided here please contact us with your request. Right click on the photo, choose Save Image As to download.